Island Chill Yacht Charters is proud to introduce our 'Therapy Adventure Cruise' opportunity in 2019! Register now (singly, couple or as a group; weekend or weekday) for a day when the winds are firm, and you and our crew are fired up to sail Therapy to her best potential. No experience necessary, although we will balance novice sailors with experienced guests (and the seasoned Island Chill Crew, of course). We'll all scan the NOAA Marine Weather Service to identify a day of perfect conditions to contact you by email or Text Message to see who is available for a real marine adventure. Everyone will have the opportunity to be Helmsman and Crew, or even just sit back and enjoy the voyage. 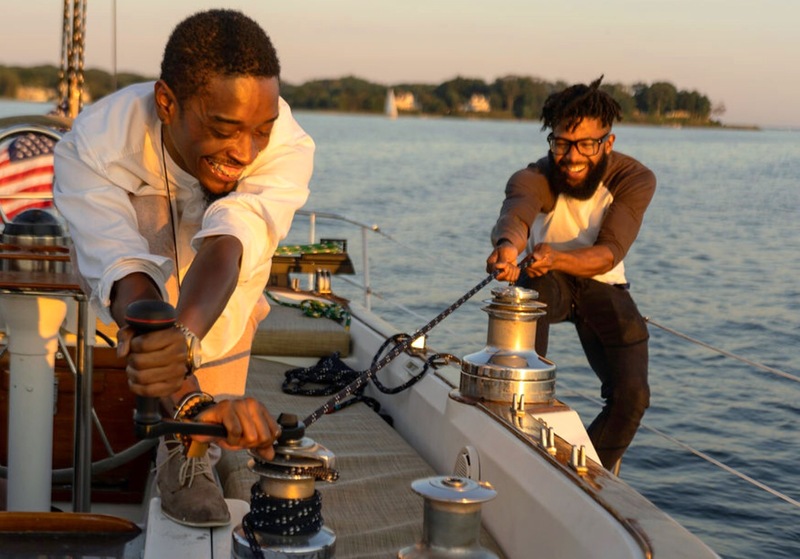 You'll get to handle a large, powerful vessel that few on the Chesapeake actually get to experience. At 46-ft from bowsprit to stern, over 12-tons displacement and over 770 sq-ft of sail area, Therapy is a stable performance cruiser - even in strong winds. Therapy is an exhilarating, but safe adventure. 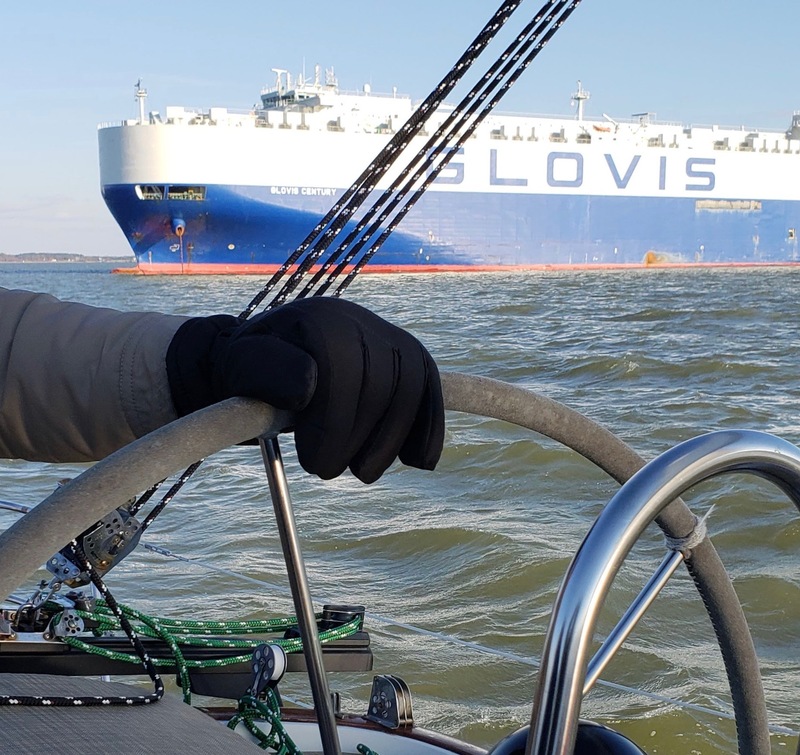 We'll sail out of the South River, and either go northwards past Thomas Point, Annapolis, the Chesapeake Bay Bridge, past Sandy Point and on towards Baltimore. We'd probably anchor for lunch on the Magothy or Severn River. Or we may head southwards past the Bloody Point Light, and either sail past Poplar Island or head into the Eastern Bay towards St Michaels. The southern route would probably mean we'd anchor for lunch in the Rhode River. To be honest, we'll probably decide collectively our routes and destination depending on the winds once we leave port. You will spend the day with like-minded adventurers and come ashore exhilarated and invigorated - as well as being a more experienced and seasoned sailor. What type of charter are you interested in - sail or power? How long would you like to charter - 1/2 or full day? Does your group have any requests while cruising aboard - Destination, Activities? We look forward to planning the event of a lifetime aboard Therapy (43-foot sailboat) or Irie Vibes (34-foot powerboat)! Call (410) 212-4476, or fill out an inquiry form by clicking on the button below. As well as over 25-years experience cruising the Chesapeake Bay, your Captain knows the corporate world. He was a research scientist at the National Institute of Mental Health in Bethesda as well as a former Director/Vice President-level executive in the biotechnology industry in New York and Connecticut. He graduated from the clinical psychotherapy program at Columbia University with residency training in the Employee Assistance Program (EAP) at Cornel University in New York City. He runs a private psychotherapy practice in Annapolis, and lectures to companies in the Maryland area on EAP-related issues. Our Cruise Directors are all college graduates with experience in a broad spectrum of business and professional industries.